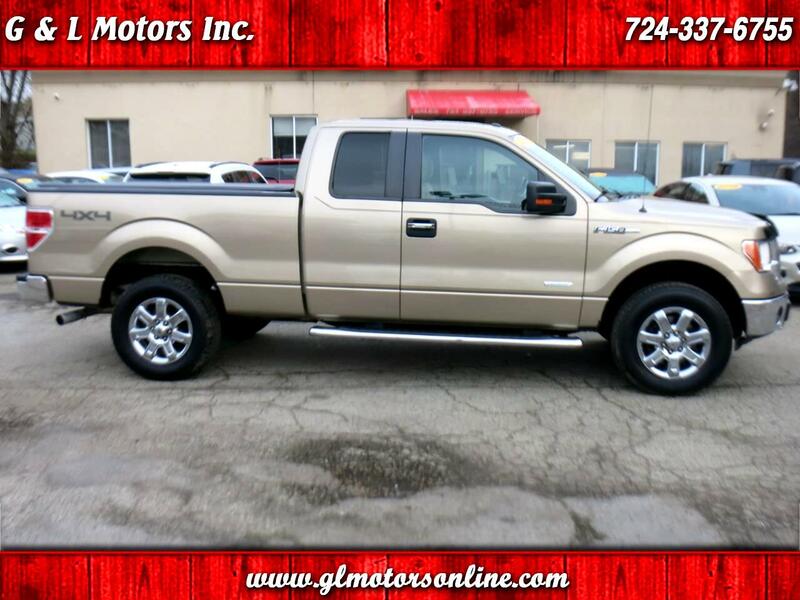 Used 2013 Ford F-150 4WD SuperCab 163" XLT for Sale in Pittsburgh New Kensington PA 15068 G & L Motors Inc.
(42) Photos Apply Online Text Us About This Vehicle! 2013 Ford F150 SuperCab XLT 4x4 with **3.5L Ecoboost V6 Turbo**, fog lights, chrome running boards, 18" chrome wheels, tow package, rear parking sensors, **Backup Camera, Microsoft SYNC with Bluetooth, power sliding rear window, CD, factory trailer brake, power drivers seat, roll stability control and low mileage make this turbo powered F150 a perfect truck for work or play! !